Beth Shalom is a great community church where families and friends come together to worship God and fellowship with one another. Led by our pastor, the Rev. 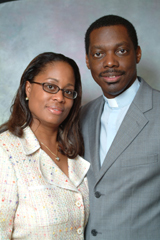 Dr. Darrell J. Gaskin, we strive to bring PEACE to our members, friends and guests. 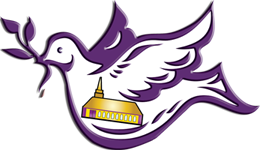 By PEACE we mean P-Powerful Preaching, E-Excellent Teaching, A-Awesome Praise and Worship, C-Creative Ministry, and E-Engaging Fellowship. Beth Shalom opened its doors in 1977, based on the inspiration of the Rev. Stephen P. Spottswood, who saw a “House of Peace.” The church was founded on the words of Philippians 2:1-18 which begins with the verses: So if there is any encouragement in Christ, any comfort from love, any participation in the Spirit, any affection and sympathy, complete my joy by being of the same mind, having the same love, being in full accord and of one mind. Our mission is simple, but profound. We worship the Lord, reach out to the community, teach the believer, care for the needy and encourage each other in the Lord. We believe the focus of Christianity should be building and maintaining loving relationships. For us, the Cross of Christ symbolizes the importance of relationships to God. Christ died so that we could have a“right” relationship with God and it’s equally important that we would have“right” relationships with others. When you’re finished visiting our website, come visit us in person.